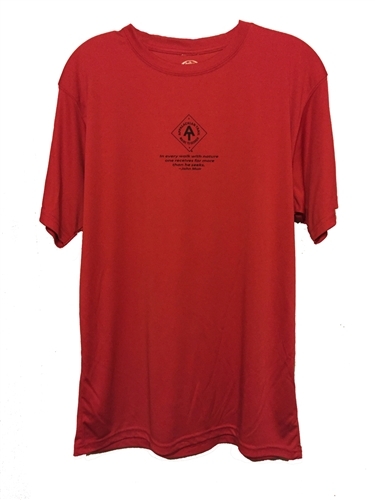 These quick wicking, synthetic, short sleeve t-shirts are made by American Backcountry and is perfect for any outdoor activity. On the back of the shirt, it displays a topographic map of both Springer Mountain, which is the Southern terminus of the Appalachian Trail, and Mount Katahdin, the Northern terminus. The quick dry nature of the shirt helps wick away sweat when you are working hard or drying off after a quick rain shower. The material is very breathable and helps keep you cool on those hot summer days. 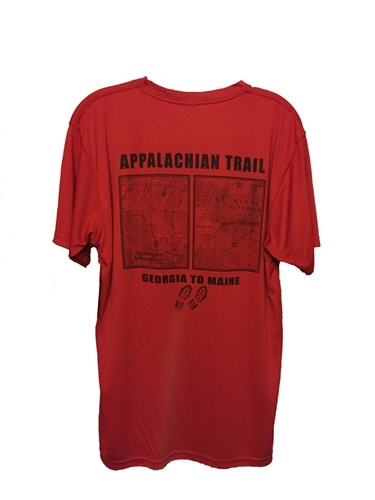 best of all, a percentage of sales from these t-shirts go benefitting the wonderful Appalachian Trail Conservancy working to protect this beautiful trail.